Invisalign gives you a straight, beautiful smile that everyone will admire. You might be considering using this convenient teeth straightening treatment to help you achieve your best smile. A common concern many people have is limitations that can be caused by using Invisalign. Continue reading to find out the do’s and don’ts while wearing Invisalign. Eat – You will be able to eat anything you want during your treatment. The reason you have this luxury is due to the mandatory rule of removing your aligners and not wearing them while you eat. Drink – You can enjoy your favorite red wine, coffee, and other dark drinks without damaging your aligners. Just make sure you remove the aligners while consuming these items and brush your teeth immediately afterward. 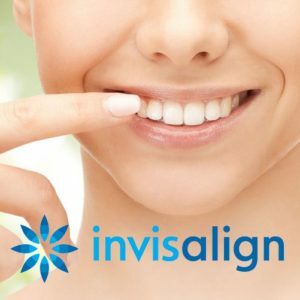 Smile – Invisalign aligners are clear which means you can smile in all of your pictures without anyone realizing your wearing aligners. Feel Confident – You can confidently live your life knowing your teeth are gradually straightening and creating your best smile. Feel Comfortable – Standard metal braces often cause sores, infections, and discomfort in the mouth. Invisalign aligners are created with soft, durable materials which are comfortable to wear and don’t cause harm to your gums or mouth. Enjoy Quick Results – Standard metal braces an take up to five years to straighten teeth while Invisalign usually only takes about one year or a year and a half. Prevent Tooth Decay and Gum Disease – Since you can remove your Invisalign aligners, you get to brush, floss and rinse your teeth after every meal and snack. This means you will prevent sugar and food particles from remaining in the small crevices of teeth which leads to bacteria, plaque, and tartar buildup. Don’t Leave Aligners In – You need to remove your aligners every time you plan to eat or drink something, with the exception of plain water. Coffee, red wine and other items that cause teeth to discolor will do the same to the clear aligners. You don’t want to walk around for two weeks with discolored aligners. Make sure you always remove them when consuming all meals, snacks, and drinks. Don’t Damage Your Aligners – The aligners are designed to straighten your teeth by gradually moving them into place. The aligners need to remain in perfect condition to assure treatment is progressing correctly. Damaged aligners will prevent teeth from moving into place properly. Don’t Use Toothpaste – Most toothpaste brands are abrasive so they remove bacteria, food particles, plaque and tartar from your teeth. Using toothpaste on your aligners will cause visible damage that is irreversible. Don’t Smoke – You need to keep your aligners in your mouth for most of the day and night. You will only remove them to eat or drink. Smoking is not recommended while wearing Invisalign since the nicotine can discolor the aligners quickly. 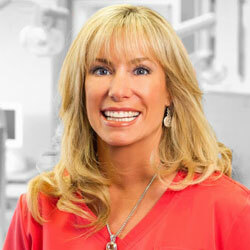 Overall, Invisalign is the most comfortable and convenient way to straighten teeth. It has distinct advantages compared to standard metal braces and produces results faster. 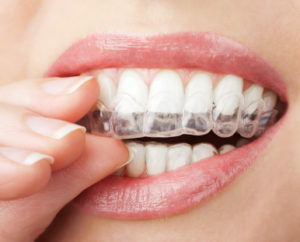 Get your teeth straighter now with Invisalign! Are you ready for your teeth straightening treatment? Does Insurance Cover Invisalign in NYC? << Should You Get At-Home Teeth Straightening?